A man falls overboard…. 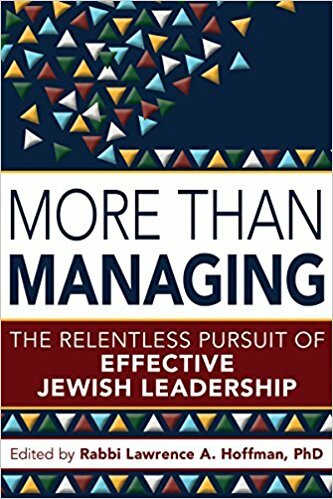 | Rabbi Lawrence A. Hoffman, Ph.D.
That’s a “Navy Parable” (as I like to think of it) that I heard while working for a year designing continuing education courses for Navy chaplains. How sad, we say, that even in what may be his last and dying moments, the man thinks his professional identity is what will save him. By contrast, consider Jonah, about to fall overboard, and accosted by sailors who think him responsible for the storm that is capsizing their vessel. When asked, “Who are you?” Jonah replies. “I am a Hebrew. I worship the Lord, the God of heaven, who made both sea and land” (Jonah 14:9). The difference is not just hubris versus piety. Sociologists point out the long-term trend from identity that is ascribed to identity that is achieved. Jonah’s identity is ascribed – – a simple given into which he is born and from which he has no intention of escaping. The bank president’s identity is achieved – – it is the pride and purpose of his life, something he has built and nurtured as the self he wants to be. We can imagine both Jonah and the banker shouting avid affirmation of who they are as death threatens to annihilate them. Faced with the possibility of no longer being anything at all, they scream aloud just who they are and who it is that will go missing when they are gone. We may be born with just an immediate sense of self; but as we grow older, we learn to interpret that immediacy in ways that justify it. We are Hebrews, we decide; or bank presidents; or other things that matter. The ultimate injury to our humanity is being told we are nothing. Consider the testimony of Primo Levi, recalling Auschwitz : “They have taken away our clothes, our shoes, even our hair…. They will even take away our name…. I have learned that I am Haeftling [“prisoner”]. My number is 174517.”  Dehumanization is precisely the exercise of taking away everything we thought we were and reducing us to numbers. We do not all have this privilege of profusion. The poor have little room for selecting the luxury of identities beyond their day to day struggle to survive. But anyone reading this is likely to have just the opposite problem: too many choices with insufficient time and energy to satisfy any single one of them. Hence the struggle to be good spouses, good parents, good professionals, good friends; good conversationalists, good musicians, good cooks, good gardeners; not to mention just plain good people; and still have room each day to be good to ourselves. Knowing he was first, foremost, and altogether a Hebrew, Jonah had only to worry about being the best Hebrew he could be. When Hebrew is just one of many selves we might say we are, we face the need to order our priorities. A healthy exercise is shifting the question from what we think we are to what we want other people to say we are – not just now, but at our eulogy, after we are dead. From the Navy Parable, I wonder if it will suffice to have the rabbi say, “Above all, he was a terrific president of a bank!” I rather doubt it. From Adam Bly, ed., Science is Culture: Conversations at the New Intersection of Science + Society ((New York: Harper Perennial, 2010), p. 83. Thanks very much Norman. I so appreciate your writing.